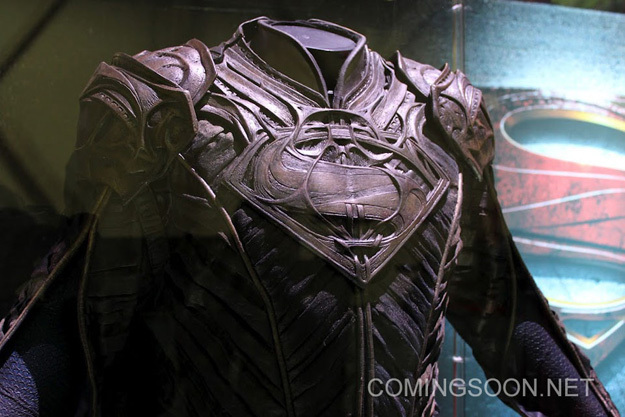 Today we have some great photos of costumes from next summer’s ‘MAN OF STEEL’ film, courtesy of Comingsoon.net. 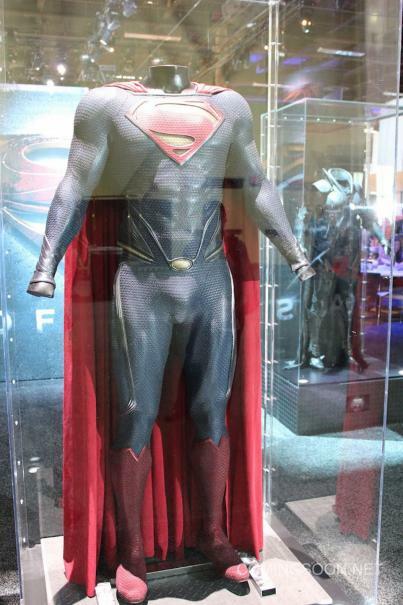 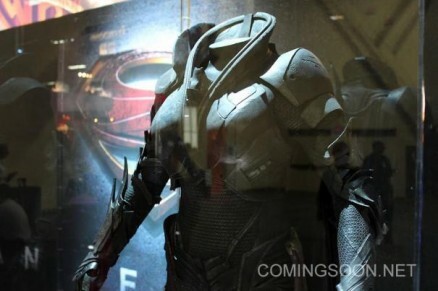 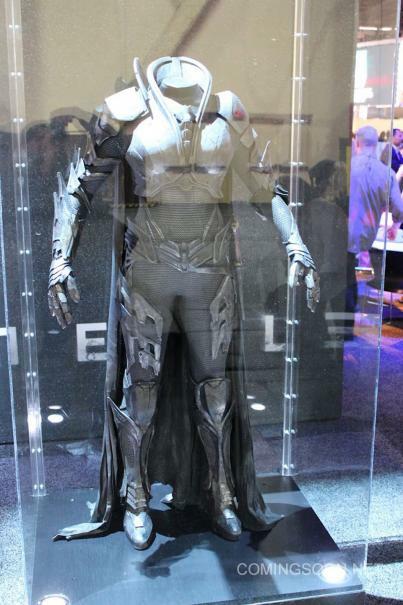 The photos are from the Licensing Expo 2012 in Las Vegas, and provide a great close up look of Superman’s suit, as well as those of General Zod’s female sidekick, Faora, and of Superman’s father, Jor-El, played by Russell Crowe. Still no word yet on what Zod’s costume will look like, but based on the set photos we’ve seen, we know it will most likely be created via CGI. 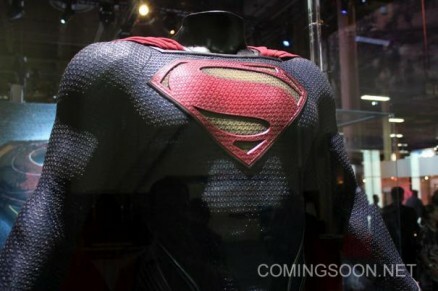 ‘MAN OF STEEL’ hits theaters June 14th, 2013. 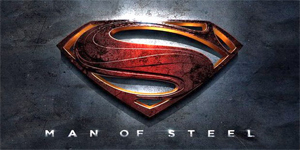 WARNING: ENTIRE ‘MAN OF STEEL’ PLOT REVEALED?